The waste materials gathered in junk removal processes and reaching landfills can be approached differently depending on their properties. Their classification can be done according to their physical state (solid, liquid, gaseous), their source (household waste, industrial waste, agricultural waste), their treatment (primary, secondary, ultimate) or their dangerousness ( inert waste, ordinary waste, special waste). Intuitively, humans, like animals, deposit their waste away from their places of life, for various reasons, among which there are health concerns (protection against odors, parasites, physical attacks and infections). In fact, in the strict sense of the term, the rational management of urban waste consists in evacuating garbage outside the city because their deposit in inhabited areas pollutes the environment and deteriorates the quality of life. Unfortunately landfilling is a problem in many countries including the USA. Any organic matter of animal or vegetable origin will sooner or later, depending on the physico-chemical conditions such as temperature and humidity, be colonized by microorganisms. They will find material to feed on and develop while producing gases and substances with a negative effect (toxic substances or substances inhibiting negative effects on humans) on the surrounding environment. In a landfill the phenomena that develop, following the biodegradation of organic matter, will be all the more complex as the volume of waste will be heterogeneous. Uncontrolled landfills involve various types of waste (low or fast biodegradable materials, plastics, metals, glasses and ceramics) and mixed populations of endogenous microorganisms (which originate from waste, the surrounding atmosphere or the sub-soil of the landfill). Heterogeneity, the presence of biodegradable materials and the influence of external parameters, such as rainfall and temperature, are at the origin of chemical, physical and biological processes that influence each other and generate flows of gases and liquids. Liquids from a landfill are commonly known as leachate. The gases for their part are called biogas. Since microorganisms are responsible for most changes in the physicochemical properties of leachate and biogas, the uncontrolled discharge is often thought to be a biochemical reactor or bioreactor. The flows entering this landfill correspond to the entry of water as well as the supply of waste during the dumping of waste. Water the element that has the greatest influence on the evolution of waste, comes from three main sources: runoff arriving at the landfill, precipitation and water constitutive of waste. The leachates or leachate liquids of the landfill are charged bacteriologically and especially chemically with both mineral and organic substances. They can mix with surface water as well as with groundwater and thus constitute a pollutant element as well by their quantitative aspect as qualitative (ecotoxicological elements). The water passing through the layer of waste will be charged with pollutants such as soluble organic matter resulting from the biological activity of the uncontrolled discharge, inorganic constituents such as heavy metals (especially from batteries) and germs that can be dangerous for health and the environment. It is difficult to predict the composition of leachates precisely because it depends on the nature of the waste, the volume of precipitation, and the stage of degradation reached. The greatest risk associated with leachate production is contamination of the water table. This would pollute drinking water wells and thus deprive the population of a vital element in its survival. It should also be noted that the pollution of drinking water reserves by pathogenic micro-organisms is likely to cause epidemics. In a newly concluded research, it was found out that adding starch to the regular diets of individuals with metabolic syndrome is a great idea. This can result in the improvement of bacteria in the gut, and these changes decrease inflammation linked to obesity. Also, this can lead to lower bad cholesterol. According to the research from South Dakota State University, the real secret is found in the flour, but its impact or effect lies in the gut. An estimated 34% of Americans or roughly 47 million people have metabolic syndrome based on the data collected by the American Heart Association. Metabolic syndrome is a not a new type of diseases. In fact, it was identified less than two decades ago. American Heart Association mentioned that almost 1 out of 6 people have it. Metabolic syndrome runs in families. Usually, it is very common in Asians, African-Americans, Native Americans, and Hispanics. As a person ages, the risk of developing this condition increases. Certainly, it seems that many people have it, but only very few know it very well. Many experts are debating about it, and not all of them recognize that this should be considered as a distinct condition. Should you be worried about this mysterious syndrome? Metabolic syndrome, also known as Syndrome X, is not a disease in itself. Actually, it is a cluster of risk factors, which include high blood sugar, high blood pressure, abdominal fat, and unhealthy cholesterol levels. Apparently, having any of the risk factors is not great. But when all of them are combined, they simply set the stage for severe problems. These double a person’s risk of blood vessel and heart disease, which may lead to strokes and heart attacks. Also, their combination can increase an individual’s risk of diabetes by 5 times. The lighter side of metabolic syndrome is it can be controlled, mostly with lifestyle changes. According to the National Heart, Lung, and Blood Institute and the American Heart Association, there are 5 risk factors that make up this syndrome. Until today, health experts are not certain why this develops. It is not a single disease, but a group of risk factors. It is possible that this syndrome has many different causes. ●	Obesity (especially abdominal obesity). According to experts, this syndrome is becoming more widespread because of the increasing rates of obesity. Moreover, having added fat in the belly seems to increase a person’s risk. ●	Hormonal imbalance. Hormones have a big role. For example, polycystic ovary or PCOS is connected to both hormonal imbalance and metabolic syndrome. ●	Unhealthy lifestyle. Not getting sufficient exercise and eating loads of unhealthy processed foods can play a role. ●	Insulin resistance. In people with insulin resistance, the insulin does not work well. Their bodies keep producing more and more of it to adapt to the rising glucose level. Sooner or later, this will lead to diabetes. Insulin resistance is closely related to having extra weight in the belly. The Dakota State University study has been the first ever to analyze the prebiotic effect of resistant starch type 4 also known as RS4 in people with metabolic syndrome. This is a nondigestible and chemically modified wheat fiber. Moul Dey, an associate professor of the Department of Health and Nutritional Sciences, explained that the RS4 is not the same with the regular starch because it works as a functional fiber. The gut bacteria ferment the RS4 in the colon because it is not broken down in the upper gastrointestinal tract. This activity makes new substances, like short-chain fatty acids, that have health-related functions. Prof. Dey said that the human bodies contain more bacterial cells than their own and as a result, what a person eats is not just for him but also for his bacteria. She added that how well a person feeds his bacteria contributes to how well they take care of him, and RS4 can help here. The National Institutes of Health, MGP Ingredients and the U.S. Department of Agriculture funding through the South Dakota Agricultural Experiment Station supported the research. The outcomes were published in a Nature Publishing Group academic journal called the Scientific Reports. The study included 8 men and 12 women with metabolic syndrome from 2 Hutterite colonies in eastern South Dakota. These people had abdominal obesity associated with 2 of 4 other conditions – high blood sugar levels or diabetes, high blood pressure, low levels of good cholesterol, and high level of triglycerides in the blood stream. Twelve of them were undergoing medications for 1 or more of these conditions. The starch was added into the intervention flour of the group. Every meal is prepared from scratch and each contains 1 or 2 flour-based items. The participants did not even realize that they were doing anything new or different, yet they experience improvement with their health. Prof. Dey and his co-researchers hypothesized that adding RS4 in the diet makes bacteria feel good and increases the health benefits of the food that people commonly eat. The best part of this study is that it demonstrated that this is probable in a real-life setting. Unlike most diet intervention research, the researchers incorporated a “free-living community environment” and created little modifications to the habitual diet of the participants. A healthy lifestyle with a healthy diet can lower the threats associated with metabolic syndrome. But, changing permanent habits and sticking to the diet guidelines, in the long run, is hard. This is where RS4 and other stealth ingredients make a lot of sense. She pointed out that making healthy options is really critical. The research intervention was done in 2 twelve sessions with a 2-week hiatus. This gave enough time for the researchers to switch the intervention and the control groups so that every group worked as its own control. Blood and stool sample were collected. A DXA was used to assess body composition before and after the intervention. 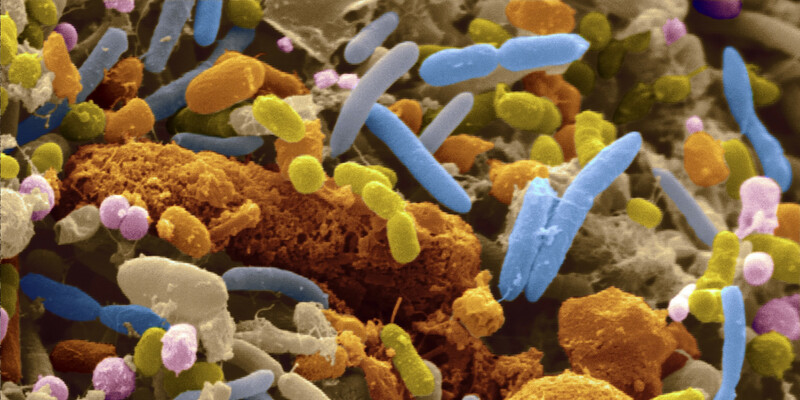 How lower cholesterol improves the condition of gut bacteria? The use of resistant starch lowers all types of cholesterols. The baseline cholesterol levels of all participants were not high. Partly, this happened because of the medications there were having. Nonetheless, the participant’s average cholesterol dropped considerably after the intervention. Additionally, the team of researchers observed a little drop in the body fat percentage and waist circumference. The stool samples’ DNA analysis through the use of an advanced sequencing illustrated a change in the “gut bacterial community structure after the intervention.” Basically, consuming RS$ helped the balance of gut bacteria, some of which linked with improved indicators of metabolic health and rising short chain fatty acid levels. At present, RS4 is only accessible to food manufacturers to serve as a fiber ingredient. The researchers are optimistic that one day the consumers have the capacity to buy RS4 fortified flour.